This splendidly detailed map covers the Middlesex town of Uxbridge. Coverage stretches from High Bridge along High Street, and southward to The Greenway; to the west, across the River Colne, are some acres of rural Buckinghamshire, including Sandstone, Gallow Hill Farm and Mansfield Farm. Features on the map include the GWR Uxbridge branch and terminus, the Grand Junction Canal, Fray's River, Uxbridge Moor, part of Hillingon West around Cowley Road, Rockingham Bridge and the narrow streets and alleys off the High Street. On the reverse are extracts from a directory for 1900, plus a railway timetable for the Uxbridge branch in 1906. 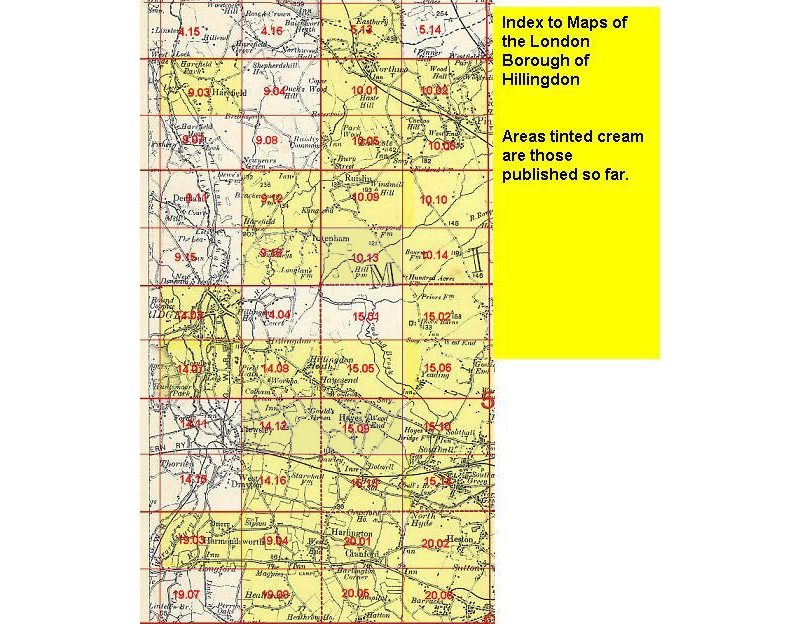 The map links up with sheet 14.04 Hillingdon North to the east, 14.07 Cowley to the south.